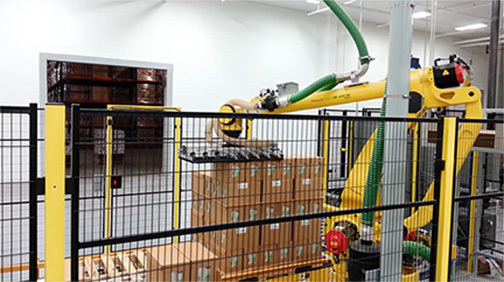 Precision Automated Technology has published a new White Paper that gives some background and addresses the benefits of automated robotic palletizing. The information from the White Paper is listed below. A PDF of the White Paper can be downloaded here. The selection of a qualified systems integrator is the critical step towards successful robotic automation. 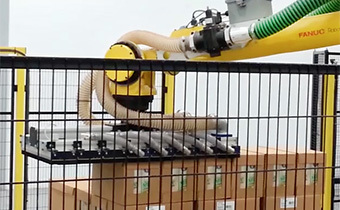 Precision Automated Technology engineers and manufactures custom robotic palletizing systems. Precision Automated Technology has a long history of solving complex palletizing problems. Every robotic palletizing system is equipped with custom End of Arm Tooling engineered and built for a specific task. A robotic systems integrator is needed to incorporate a robotic work cell into your production line. Precision Automated Technology is an experienced robotic systems integrator with a long-standing history of integrating robotic palletizing into customers current operation and production flows. In many cases the customer may not have to make major modifications to current processes to successfully integrate robotic palletizing. Below are videos to a few of our palletizing solutions. While the robot is the mechanism that does the heavy lifting, the End Of Arm Tooling (EOAT) is the tool that manipulates the product(s) to be transferred. It serves to arrange the product in the configuration needed to complete the pallet. Here are some examples of the robotic EOAT engineered by Precision Automated Technology, as well as a close-up of the quick change tooling capability, which is an available option. The quick change tooling capability allows for a new EOAT to be quickly swapped to accommodate for new product lines coming down the same conveyor line. Whether you’re just investigating robotic palletizing systems or ready to partner with a robotic integrator, Precision Automated Technology is your solution provider. Precision Automated Technology has over 20 years experience in automated systems. Our robotic palletizing systems have been installed worldwide, and are currently helping customers increase their efficiency and productivity. Contact Ryan Park or Jim Wendler at Precision Automated Technology today for more information. 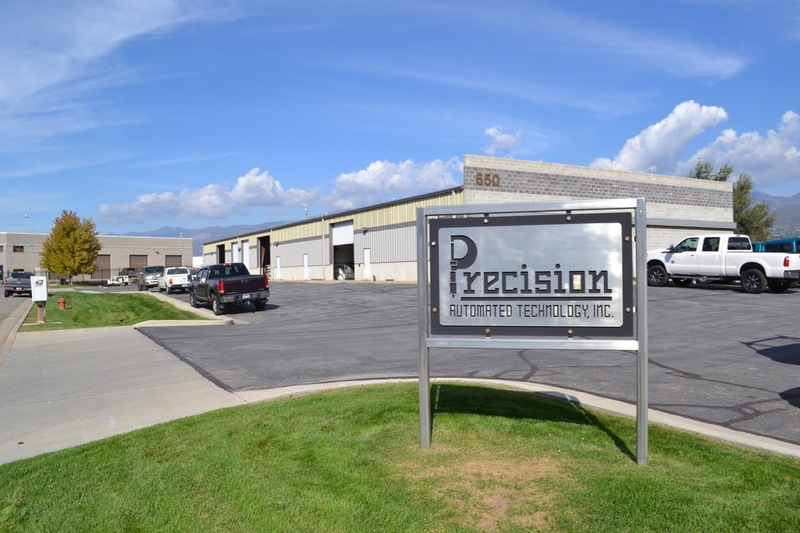 Precision Automated Technology, Inc., has been transforming complex and labor-intensive production tasks and processes for over 20 years. We excel at providing automated solutions to labor intensive processes. © 2019 - Precision Automated Technology, Inc.